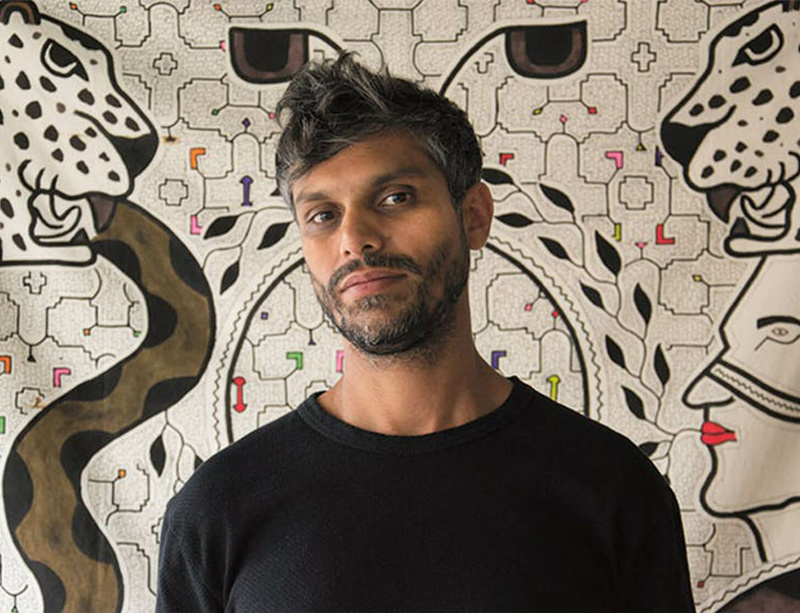 British artist Haroon Mirza is renowned for his immersive installations that generate light and sound compositions. In 2018 he won a residency at CERN (the European Organisation for Nuclear Research) in Geneva, the largest particle physics laboratory in the world. The residency aims to combine the “creative power of art and science to explore and make sense of the universe”. Following his time at CERN, Haroon has been creating a major installation based on his research which has recently opened in Liverpool, England and which will be taken on a global tour for the next 5 years. The piece, made with his collaborator Jack Jelfs, is a sculptural art work which uses a circle of 8 speakers, a large screen and an octagonal chandelier sculpture of LEDs to compose light, sound and video. Combined with a careful manipulation of spatial acoustics, the viewer is cocooned in a truly immersive experience. Oonagh Cousins joins Haroon in his studio as he and Jack work together on the installation, to discover the creative processes behind his art. What are the technical challenges in creating this kind of piece which has to be reassembled in different spaces – and will the final installation and rehearsals go according to plan? Listen Online via BBC World Service here.